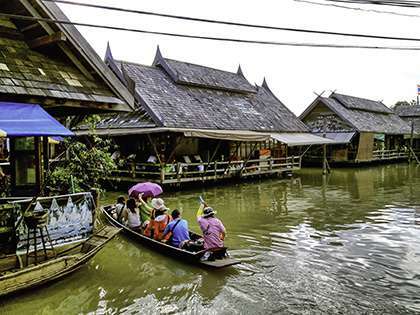 Thailand gets top marks as a travel destination. It’s fascinating and exotic yet friendly and affordable, with enormous appeal to most people. On this site you’ll find all sorts of essential information about Thailand that you need to help plan your trip. We’ve put together a complete travel guide that covers every detail to make your Thailand trip a rewarding and exciting experience. Here’s a chance to pick up some great tips before you even book your plane. Thailand is a relatively large country in terms of both geography (514,000 square km) and number of residents (65 million). The capital, Bangkok, is the biggest city with 12 million people and provides a stunning contrast with the many remote, uninhabited areas of this tropical paradise. In fact, Thailand is a land of variety and contrasts, full of exciting things to see and do. Whatever your age, whatever your interests and budget, you’ll find Thailand the perfect spot for your vacation. What does a vacation mean to you? 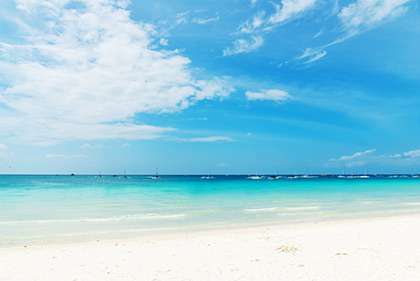 Do you want to just relax on a pristine beach, with perhaps a massage as the most strenuous item on your day’s agenda? 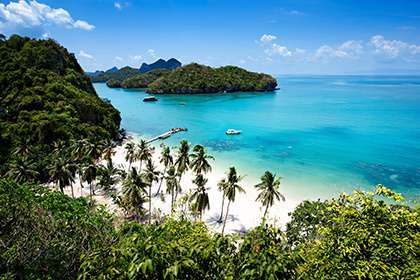 Or are you in the mood for something more adventurous – golfing on one of Thailand’s world class courses, learning to snorkel or scuba dive, trekking the jungle atop an elephant or dancing the night away at Haad Rin Beach? This is just a small sampling of the excitement that awaits you in Thailand. Choose where you’ll stay depending on the specific activities you’d like to enjoy. If you plan carefully in advance, you can pack a lot of fun into your trip, but like many people, you may find that one visit to Thailand is just not enough. On your holiday, you might want to rent a car or a motor bike so that you can see more of this spacious country. Vehicle rental and gasoline prices are not overly expensive and the quality of the roads is generally quite good. North Americans may find it a bit of an adjustment driving on the left side of the road, though. If you’d rather just concentrate on seeing the sights, you can always just take buses, trains and taxis. The language of Thailand is Thai, with many local dialects; you might want to consider learning a few useful words phrases before your trip. Most Thai in cities and tourist areas know at least minimal English, though. You should find it a relatively simple matter to order a meal, shop at the market or even carry on a basic conversation in English with the friendly and courteous Thai. The baht (THB) is the official currency of Thailand. Familiarizing yourself with the exchange rate and using the calculator on your cell phone will help you to figure out prices, which may seem alarming if they are quoted in hundreds or thousands or baht, but are actually quite low. Prices can generally be brought even lower if you bargain, whether at the night market, the shopping mall or the car rental counter. Just remember to negotiate the Thai way – always with a low voice, a respectful manner and a smile. Now you’re ready to read more about Thailand’s specific areas and attractions and get ready for one of the most amazing physical and spiritual journeys of your life. There is something about Thailand that makes it the perfect place to study yoga.